Often in the online world you hear about how something is good without any real proof that it is "good". Which is why I've decided to do something a bit different in order to prove that the ToPDF -- URL to PDF converter is in fact worth your time. You see recently we finished the development of our all new URL to PDF converter because we were unhappy with the way our old converter functioned. While even that version was better than some of the sites out there on the web, it just didn't meet "our" quality standards. So we went back to the drawing board and developed one that does. So to prove that our converter is as good as we say it is, we will be comparing it against the top 3 converters and let you be the judge of whether we are worthy of converting your webpages. While some people may say that this is a bold move and maybe even a cheap shot at the competition in some ways, I believe it's necessary because we've put too much effort into this project. So it wouldn't do anyone any good to keep the advanced functionality of this converter a secret. Additionally, we are offering all of this for free so it's not like we are doing this out of greed. We basically just want recognition for our hard work. Also note that we are being fair in this challenge because we haven't tested the competition's webpage converters for about a year. So if they turn out being better, this challenge will blow up in our faces and we will have to go back to the drawing board once more. Truth is... when we tested these converters about a year ago, they were all running WKHTMLtoPDF which is a fantastic open source program for Linux. The only problem is that it's not designed to work well the way the competition is using it. I know this first hand because we were using WKHTMLtoPDF during initial development and ended up using it together with Firefox just to get it to convert more webpages to PDF format because WKHTMLtoPDF wasn't able to do the job on its own. Unfortunately, even that didn't work well for long because the converter was failing to convert some webpages. Which is why we decided to build a new converter from scratch which we can't really go into detail about how we developed it, but we will show you how well it works. Well ok, I'll admit that it's sort of a headless browser which converts webpages to PDF format but I won't get into the more technical aspects of this project. So to start, I will be putting our converter up against the top 3 Google results for "URL to PDF Converter". I figure these 3 sites will be the best at converting webpages because Google claims that they offer the best search results so therefore, these 3 sites should be the best at converting webpages. Now whether they are actually good enough to rank so high in Google, is not of any concern to me. What is of concern to me, is to find the best webpage converter for this challenge. When we developed our site, our goal was to build the best PDF converters so we didn't have much time for Google. We'd prefer to invest our time into providing the web with the best PDF converter tools. +1 for the competition as far as Google is concerned. So now that you know how I am going to approach this challenge. Here are today's top 3 Google results for "URL to PDF Converter". Note that we can't convert Google results to PDF because Google doesn't want us to so they return a 503 error. Therefore, we will respect Google's decision and not convert those results to PDF. Therefore, we cannot show you proof of those rankings but take our word. Instead, since we are speaking of Google, I will convert the Google homepage because from what I've seen, Google has no problem with that so neither do we. So far not bad. All 4 converters were able to convert Google.com to PDF. www.web2pdfconvert.com did the least accurate rendering. Which I'm kind of surprised because they are the #1 result. The others all did a good job and better than I remember them doing a year ago. Guess they also improved their technology. So, so far, I guess Google does have decent search results. Funny how this PDF converter challenge is also turning into a Google challenge. I promise this wasn't my intention. Note that for the rest of this challenge, I won't be commenting on which webpage converter does a better job because I feel wrong doing so. Instead, I will just add a link to each PDF and let you decide which PDF looks better and more accurate. As for pdfmyurl.com, unfortunately, they returned an empty PDF. I tried twice just to make sure that I am not doing something wrong. It still didn't work so I gave up. If I did something wrong, my apologizes go out to pdfmyurl.com because this challenge has no cruel intentions behind it. Like I said, if we fail, we fail. I honestly believe something went wrong during the conversion process and believe that pdfmyurl can convert the Amazon webpage at least to some extent. Okay so the rendering turned out well (some better than others) you can check the results for yourselves. We have a placeholder on the input field of the URL to PDF converter page and it's for Wikipedia.org. Of course this may change but for now, that's our placeholder. We only chose Wikipedia due to their popularity when it comes to providing information that we can all learn something from. I won't use Wikipedia for the challenge though because their site is easily converted and would therefore be a waste of time. Instead, let's convert Stackoverflow.com which is my personal favorite as far as learning is concerned. To make things fun, let's convert this page http://stackoverflow.com/questions/1687635/pdf-conversion-service which is titled "PDF conversion service". Note that I didn't learn anything from that particular page… Most of the Stackoverflow searches I do are more technical but this is what showed up amongst the results for "PDF conversion"… Go figure. Never the less, on with the challenge! Great news everyone! They all passed the test. Take a look at each PDF and judge for yourselves. Now let's try IMDB! Now this is scary because our old converter failed this test! Homepage should be easy though so let's try a movie page… Kung Fu Panda 3? Don't like the movie? You don't have to :) Not the point here. Let's just convert this page, huh? Ok so not bad. All 4 PDFs were generated. How good were the results? Check them out for yourselves. Now let's try the Youtube homepage. This I know is a difficult task because our old PDF converter failed to create a PDF and when it didn't fail, the PDF ended up being corrupted. Ok, I waited a few minutes for Web2PDFConvert to convert the Youtube site twice and the loading message keeps showing but nothing is being outputted. Ok so 3 out of 4 isn't bad. Unfortunately the web2pdfconverter failed even though Google has them listed as the #1 result. Maybe it's due to their servers being overloaded from all the Google traffic? Don't know… Either way, check out the PDFs to see how they look. So that concludes this challenge. Note that we have also added some extra PDF rendering capabilities such as render as desktop, Android or iOS but remember to change the page size when testing this feature for best results. 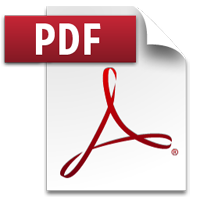 You can view our URL to PDF FAQ page to get a better idea of how ToPDF can work best for you. Additionally, I wanted to use some non-English websites for this challenge but it slipped my mind. Maybe I'll do it some other time but you are free to try this on your own for the time being. Thanks for reading.